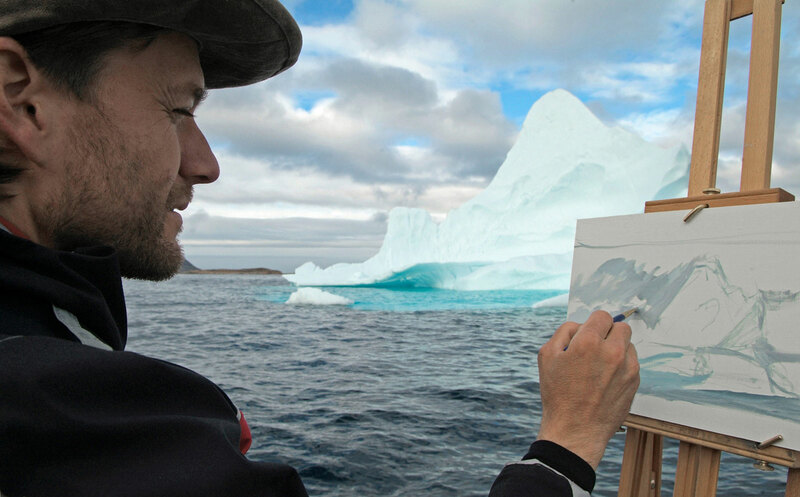 Cory Trépanier has painted an iceberg from the seat of a canoe. He's painted Mount Thor, the greatest vertical drop in the world. 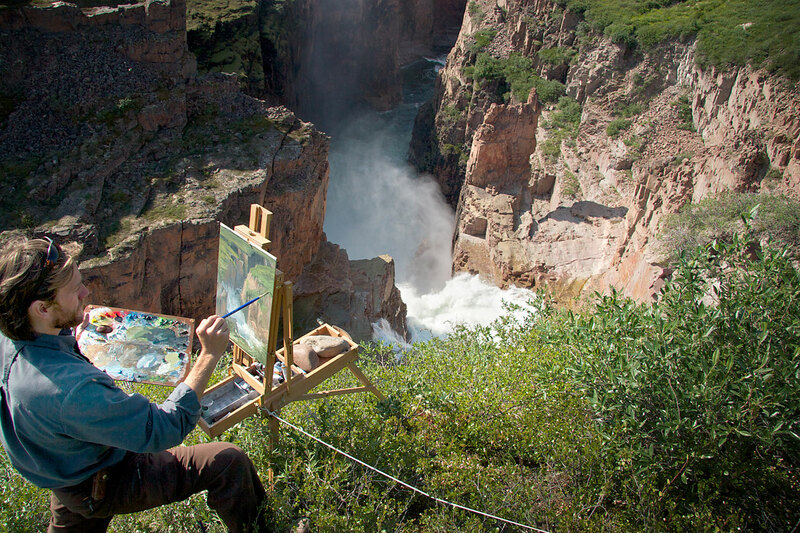 He's painted on the edge of North America's highest waterfall above the Arctic Circle, with ravaging hordes of mosquitos tempting him to leap. Now, the products of all that painting have made their way south to Washington D.C.
Until February 28, Trépanier's newly premiered Into The Arctic exhibition will be at the Embassy of Canada; afterwards it will tour through a minimum of seven museums across the United States for over two years. 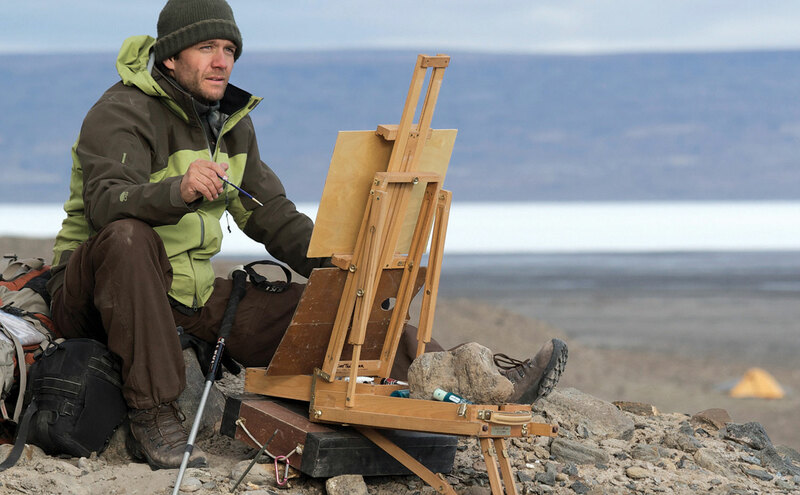 Over a decade in the making and the result of four separate expeditions to the Arctic, this collection of over 50 oil paintings and 2 documentary films depicts the raw beauty and startling variety of the North. It includes the stunning 4.6 meter wide Great Glacier, likely the largest single landscape painting ever to be created of the Canadian Arctic. The exhibition is presented in part by One Ocean Expeditions and Nunavut Tourism. The photos below offer a peek into those Arctic expeditions, and the paintings they inspired. Read an extended interview with Cory Trépanier in the January/February 2017 issue of Canadian Geographic.